We are planning to publish Vastu websites in all Indian Official Languages. India is a land of selfless people who are ever ready to pick up causes for social service. Through this message we request you to lend a hand for the successful completion of this project in terms of Finances. We humbly take this opportunity to mention that our services to military personnel, all Indian government offices and freedom fighters have always been free. Don't chop the trees in the name of this science as they are the heavenly elements. Trees form the basis for the potential development of a property, provide us a sense of security, in addition to helping us prosper in several ways such as Education, Peace, Money and health. 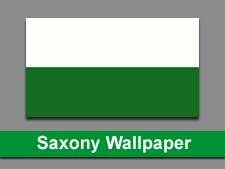 Saxony, precisely the “Free State of Saxony” is a small German state located in the Easternmost part of the country. The capital of the state is “Dresden” which is known for its bombing and devastation at the end of World War 2. Other attractive spots of the state include medieval castles, astonishing palaces, art galleries and beautiful gardens. The region has a long-term history dating back to thousands of years. The region was ruled was several empires and dukes. For example, in the 10th century, the state became part of the “Holy Roman Empire”. In the closing days of World War II, the US and British air forces dropped thousands of bombs on the city of Dresden which resulted in approx. 25,000 civilian casualties. Much of the city was destroyed including historical buildings, museums, and historical palaces. This event is still marked as a tragedy and many people mark this event as an “act of terror”. Saxony is one of the most beautiful German states having unique and splendid features, that can’t be found elsewhere in the world. The state is divided into ten sectors and features plains, hills, rivers, mountains, and forests. The state borders other German states of Thuringia towards the West, Saxony-Anhalt towards the northwest, Bavaria towards the South West and Brandenburg towards the North. The state also shares International borders with Poland towards the East and the Czech Republic towards the South. 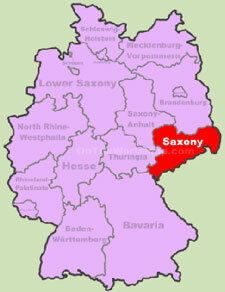 Saxony has one of the most energetic economies in Germany having various sectors. There are various renowned companies located or operating in the state like Silicon Saxony (a microelectronic company), BMW (no introduction needed), Bombardier (worlds leading and the largest manufacturing company which makes aviation equipment, locomotives, aircraft propulsion, etc. ), Porsche and Volkswagen. Patois is the most commonly spoken language of the state, while in terms of religion, EKD Protestants have the largest percentage. People of various nationalities have also taken refuge in the state e.g. Syrian, Afghanistan, Poland, Vietnam, Iraq, etc. vaastu shastra for factory in hindi? What does south facing house mean? Hello Sir, My name is Bharathi. Me and my husband have been reading your articles closely. We really appreciate the effort put by you to share your knowledge about vastu and it’s effects - Bharathi - USA. There are very many people though keenly wish to avail vastu services are unable to do so, only due to financial limitations. In case if you have in your town/village a group of people . . . . For more details Free Vastu Services page. "There is a fine line between perseverance and madness" - "Lynda Obst". “Great minds discuss ideas. Average minds discuss events. Small minds discuss other people.” ― Eleanor Roosevelt . . . Let you question yourself, "Who You Are"? A man was complaining to a railroad engineer. What's the use of having a train schedule if the trains are always late. How would we know they were late, if we didn't have a schedule? Cordial thanks to RamaKrishna, New Delhi . . Hari, Dubai . . Vijaya Bhaskar Reddy & Srinivasa Reddy, RMC Factory, Bangalore . . Venkat, USA . . Prasad, Malaysia . . Krishna Sarma, Australia.